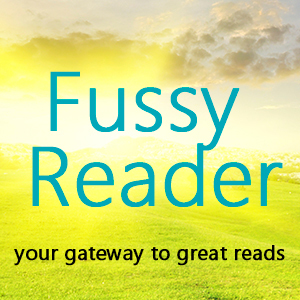 Fussy Reader is a completely free service that helps readers find great reads. Our members receive personalized emails alerting them to the best deals and discounts selected by our editorial staff. Fussy Reader works with all major ebook retailers and devices, and has grown out of a company that was first founded in 2005. At Fussy Reader we're not only very particular about the deals and discounts we bring you, we're downright fussy. We also respect your inbox and only deliver periodic updates with great reads and great information about books and authors. Typically, you'll only receive an email from us about once a week or once every other week unless it's something really special. That's about 300 less emails than those guys that flood your mailbox with daily deliveries. Readers, you can learn more about Fussy Reader by reading How it Works. Publishers, authors, and agents can learn more about submitting authors and works for consideration by visiting our authors page. Visit our press page to get more information about Fussy Reader. Have a question? You can contact us directly by email at any time.